Highlights Palau has it all - stunning reefs, big fish encounters, World War 2 wrecks and all this set in a picture perfect location. 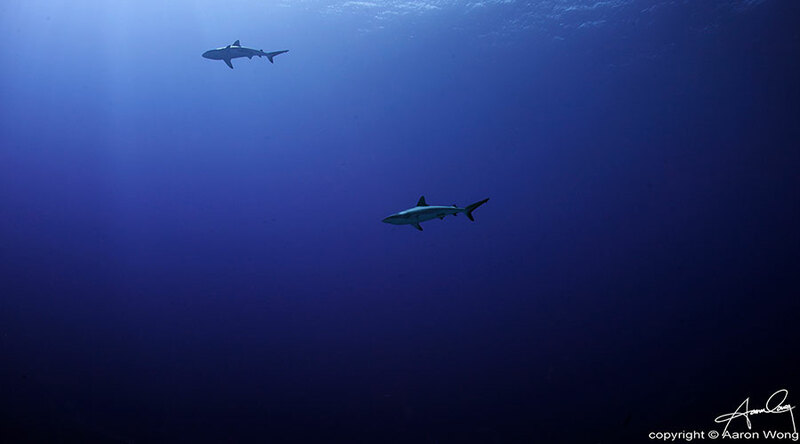 Palau is a distant land filled with adventure. The best way to see as much as possible of this idyllic destination is from the decks of a liveaboard. 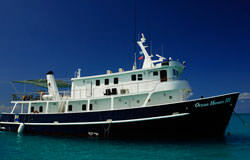 So jump aboard the Palau Discovery for a dive holiday with distinction. 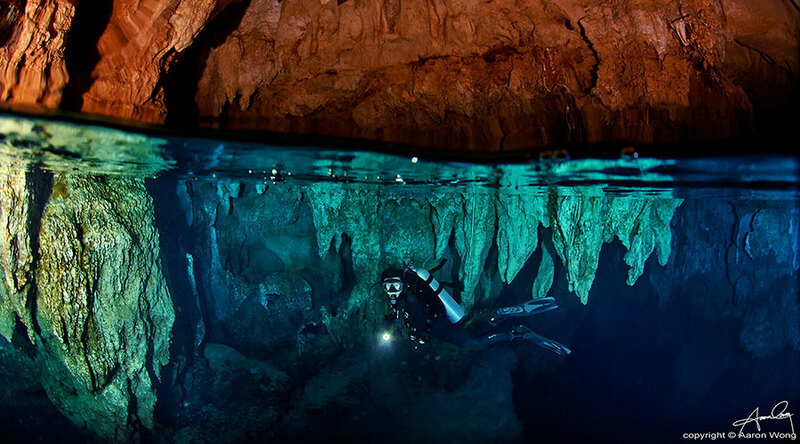 Submerse yourself in an underwater cave or snorkel with stingfree jellyfish in their thousands... these are only some of the exquisite dives you can do over the course of the week's discovery. 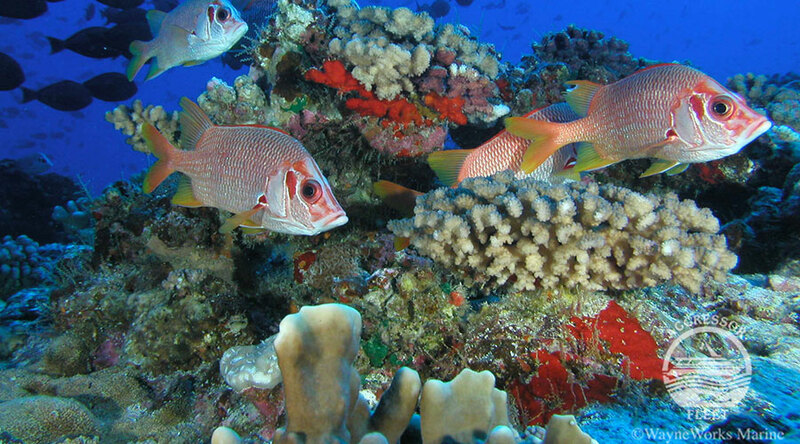 Pristine reefs, Second World War wrecks and an abundance of marine life await. Starting from Koror the boat weighs anchor and often heads towards Helmet Wreck. Even the check dive is a marvel on this itinerary! Dive German Channel and the Ngemelis region. 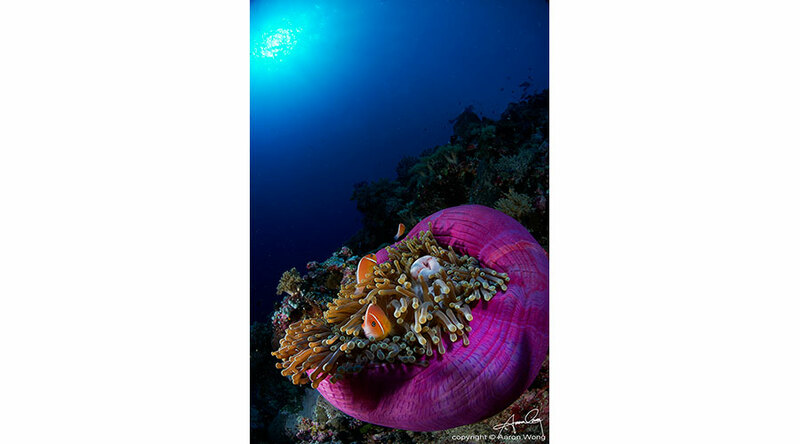 There are many sites here but amid the most famous are Blue Holes, Big Drop Off and the Ngedebus coral gardens. 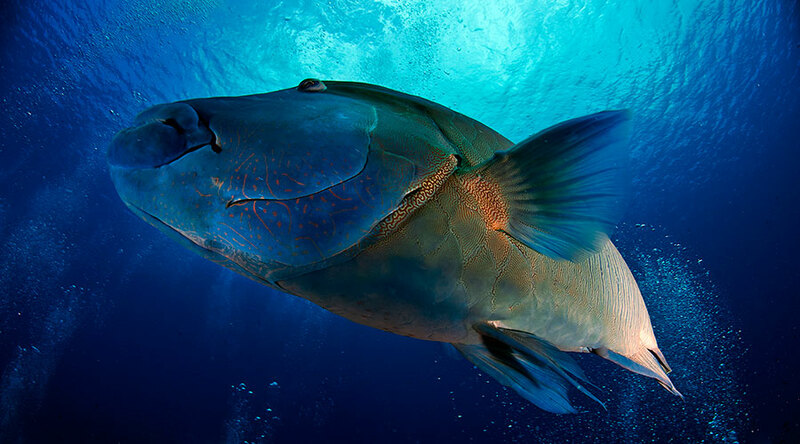 Explore every nook and cranny as you come face to face with Palau's pelagics. Set sail for Peleliu to dive the Expressway, Corner and White Beach. You can also go ashore to visit the island. 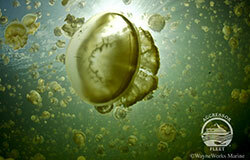 A must see highlight is a snorkeling trip to the Jellyfish lake - a marine rarity! Around Ulong you dive at Siaes Tunnel and Corner... and of course Shark City. And then you get to the wrecks. Iro and Chuyo Maru are excellent dives, crawling in fish life, and a vivd reminder of the strategic role Palau played in the Second World War. The Palau Discovery lives up to it's name. 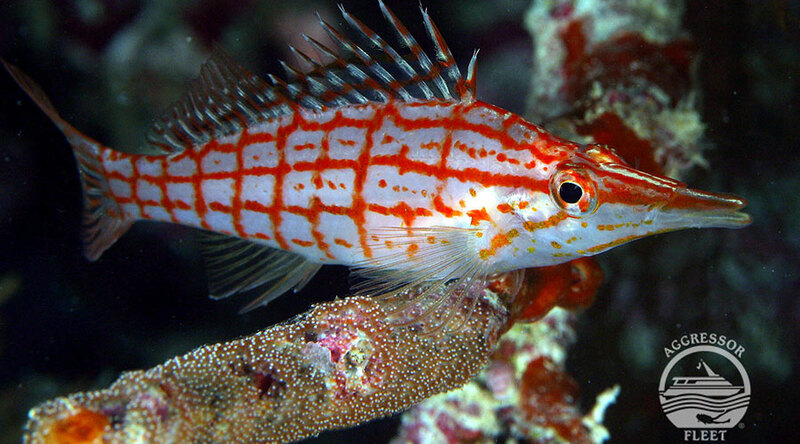 You can discover just what makes this dream destination such a must see for divers. 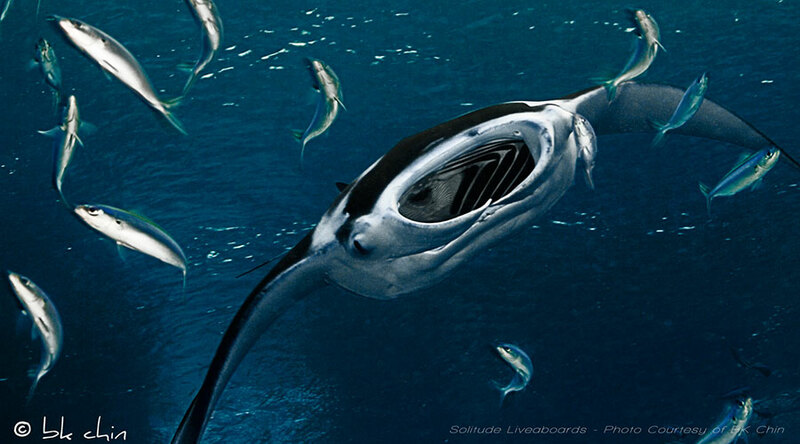 The fish life goes from macro to the biggest pelagics. Manta swoop in the blue around German Channel whilst leopard sharks rest of the seabed. Grey reefs and white tips can be seen at many of the drop offs and Shark City also boasts nurse sharks. Siaes is the place to look for marlin and sailfish whilst New Drop Off is just swarming in snappers, jacks, tuna and fusiliers. The scenery itself is breath taking. Chandelier Cave boats clinging stalactites whilst the Blue Hole has long whip corals and dappled light streaming through the reef face. 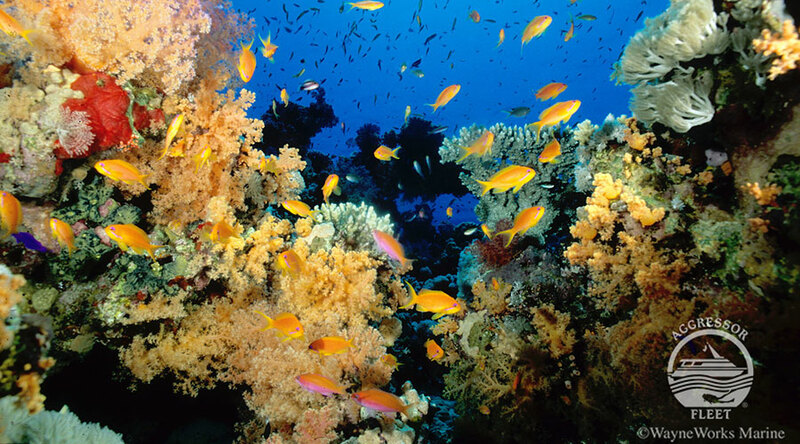 Huge sea fans are commonplace and the soft corals bring life and colour to the reef. The Palau Discovery will suit anyone that wants to visit an exclusive and remote location, no matter what experience level. Get away from the masses as the boat meanders through the islands. Some sites are sheltered from currents whilst others are speedy drifts so it is important to be prepared for different diving conditions. Many divers travel with cameras to record Palau's rich beauty and the boats are fully equipped for photography and video. Some liveaboards can cater for nitrox and technical divers so do ask about your options when booking. Palau might be far from the UK but it's secluded location only adds to its charm. The Palau Discovery is an ideal way to experience the very best that the region has to offer. 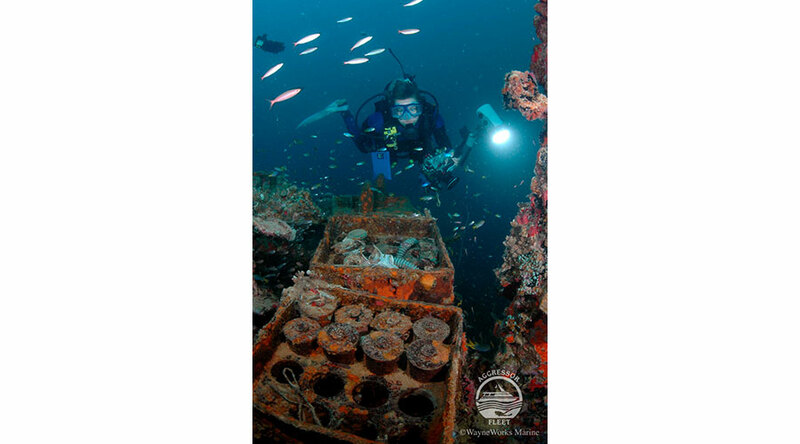 Wrecks, reefs, caves and marine life a plenty - there is so much to see that every dive is a fresh adventure. 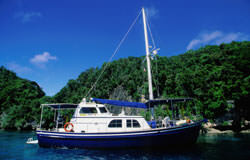 Take a tour of Palau for a liveaboard you will never forget. 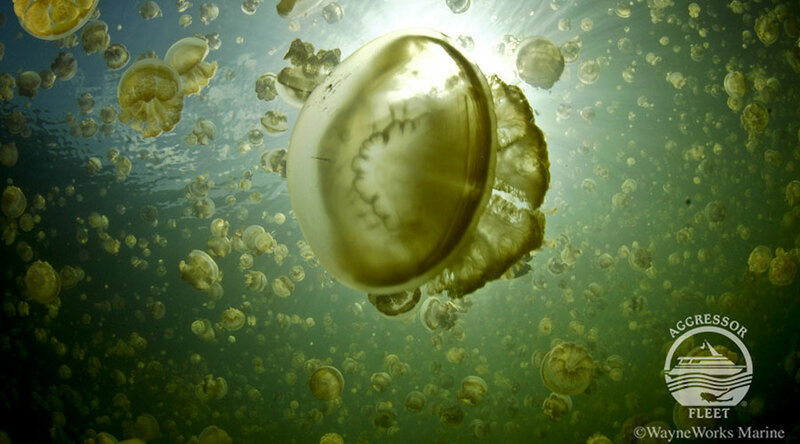 PLEASE BE AWARE: The Jellyfish lake is currently closed to allow for the population to rejuvenate. You will not be able to snorkel here until it is re-opened by the Palau park authorities. 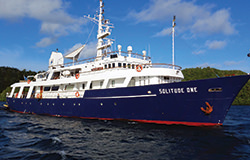 Solitude 1, Ocean Hunter 1 & 3 and Tropic Dancer will embark for the Palau Discovery from Koror. Usually trips last 7 nights on board but there are from time to time 10 night itineraries. 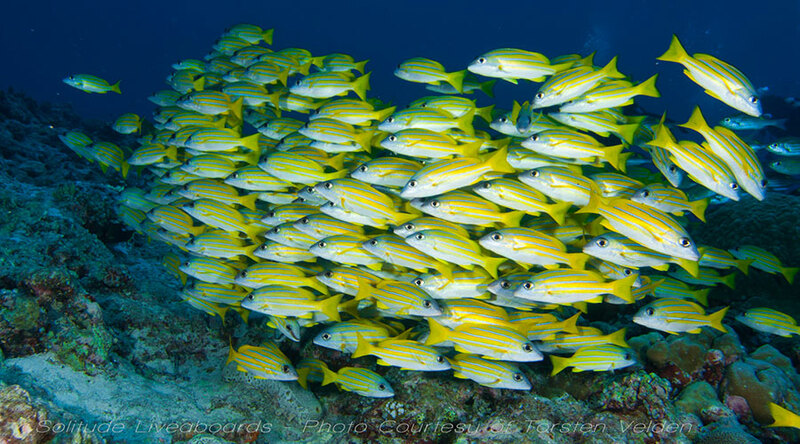 There can be either 3/4 dives a day or 4/5 dives a day, depending on your chosen liveaboard. On arrival in Koror you may be taken directly to the boat or to a hotel for the night before embarkation. Any required transfer times will be advised locally. 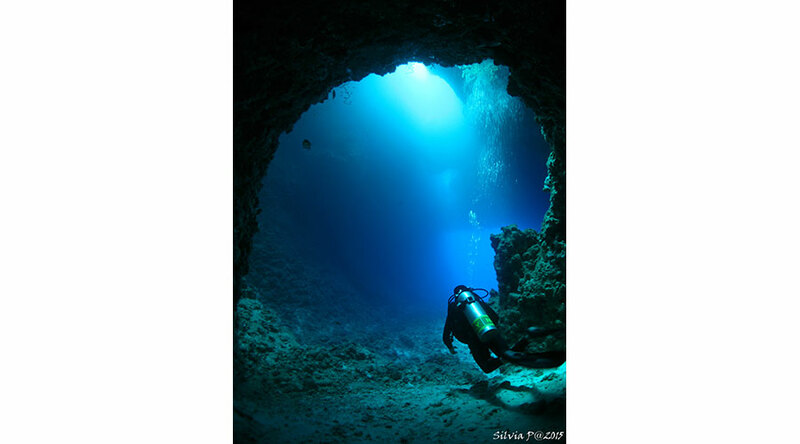 The dive sites in Palau are truly world famous. 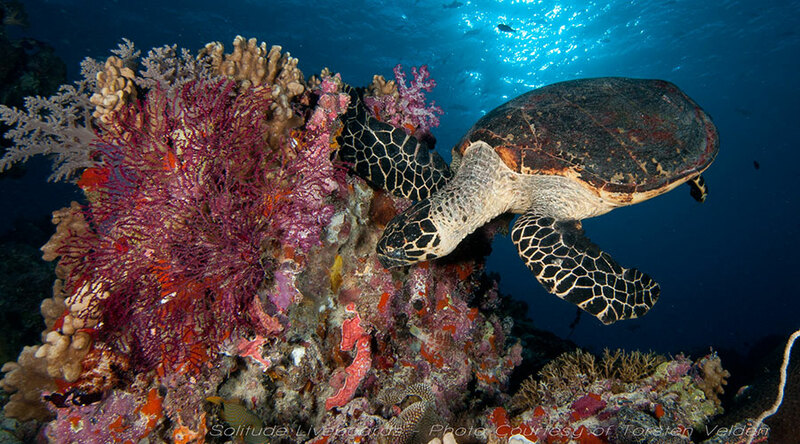 You can discover just what makes this dream destination such a must see for divers. The fish life goes from macro to the biggest pelagics. Manta swoop in the blue around German Channel whilst leopard sharks rest of the seabed. 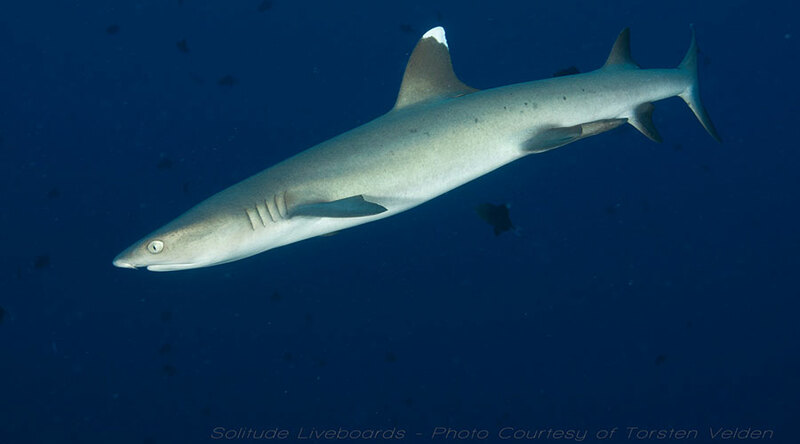 Grey reefs and white tips can be seen at many of the drop offs and Shark City also boasts nurse sharks. Siaes is the place to look for marlin and sailfish whilst New Drop Off is just swarming in snappers, jacks, tuna and fusiliers. The scenery itself is breath taking. Chandelier Cave boats clinging stalactites whilst the Blue Hole has long whip corals and dappled light streaming through the reef face. 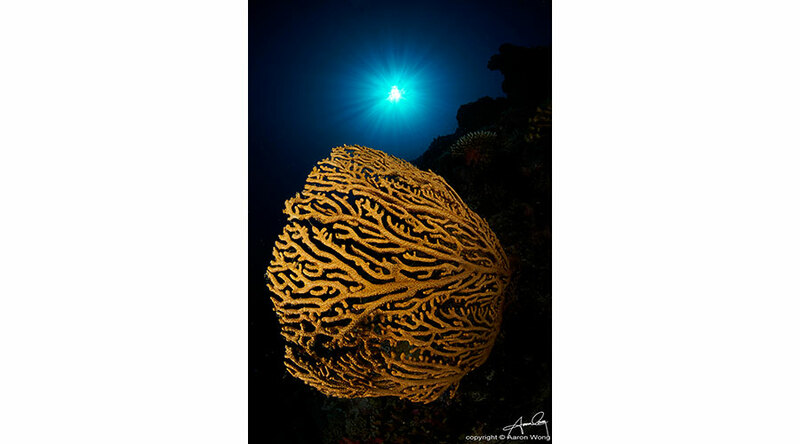 Huge sea fans are commonplace and the soft corals bring life and colour to the reef. 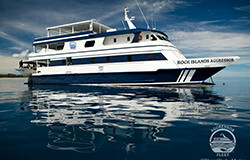 Due to the flight times leaving Palau, you may leave the boat and go directly to the airport or to a hotel for the day. There is a $50 Green tax payable locally on departing Palau.